ZR-Printing double-extrusion high-precision LCD screen FDM3D desktop printer, according to ROHS, LVD, MC certification. 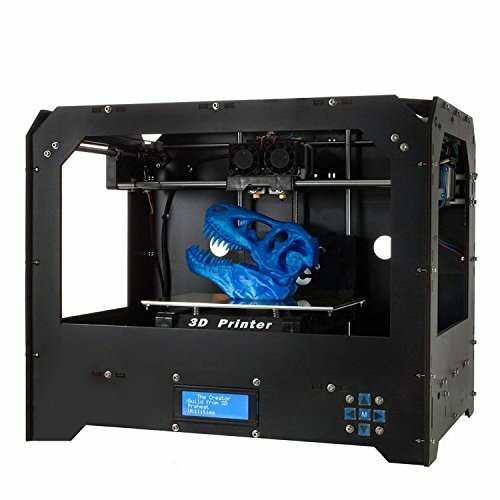 ✔1.Dual extruder 3D printer:Practical and economical 3D printer with perfect function, better printing effect, better mechanical operation, faster cutting speed and higher printing precision, giving you a comfortable experience. ✔2. High applicability:Our FDM 3D printer for ABS, PLA, HIP, PP, nylon and many other models of 3D filaments（Warm Tip:It is recommend to use PLA filament,because PLA compatibility is stronger, it is easy to print）. ✔3. Print size: 225mm * 145mm * 150m.The LCD panel,MK8 nozzle, cutting speed,easy loading of the filament, the composite shape. ✔4. Convenient and simple:This is an assembled 3D printer that can be used right it out of the box, eliminating the hassle of assembly and allowing you to immediately enjoy 3D prints of fun. ✔5.Perfect after-sales: Today 3D printers have been widely used in offices, educational institutions, homes, hospitals, etc., providing a lot of convenience for these industries. 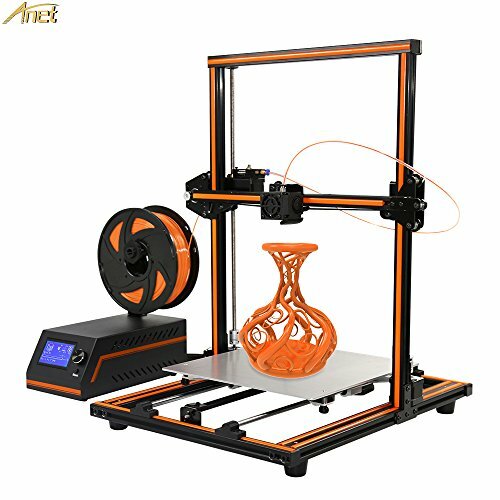 When you purchase ZR-inks 3D printer, you will receive lifetime technical support and after-sales service, and provide Six month replacement of accessories problems service. 6. 300mm*300mm*400mm large build volume, just right for you. 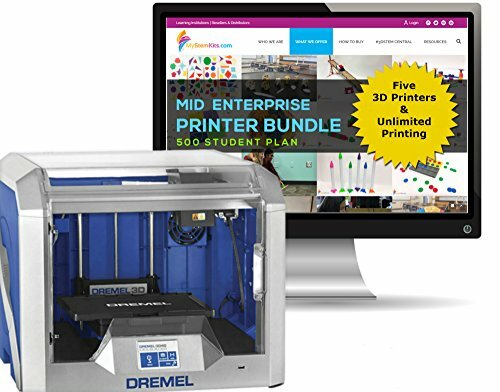 MyStemKits 2-year Subscription Plus Five 3D Printers for Mid-Size Enterprise – Cloud access to over 150 3D-printable STEM kits & lessons. Bundle with Unlimited Printing! The MyStemKits library has over 150 Science, Technology, Engineering and Math (STEM) kits with model assembly guides that are ready-to-stream to most 3D printers. Need a printer? No worries – this 2-year subscription includes 5 Dremel 3D40 Printers as shown in the product slides (incl. 3 build sheets and 1 filament spool) . Many kits have accompanying lessons designed in partnership with the Florida Center for Research in STEM based out of Florida State University. These vetted lessons are aligned with K-12 NGSS, Common Core and a growing group of state standards. Some of the most popular kits are the Hominid Skull kit, Ones Tens Hundreds kit, Pizza Fractions kit and Ocean Topography kit. Check the images and videos for a sampling of kits, model guides, and lessons. Enterprise subscriptions are unlimited printing plans, based on number of students, with no point counting or limits per month. Additionally, digital curriculum attachments are viewable before printing. Upon purchase, you will receive access credentials to the portal, including the ability to set up 17 educator accounts (1 per 30 students). This plan is designed for 500 students. From the MyStemKits Print Portal, you can browse available kits by either subject or grade and pick the kits that you want to review, print and build. We don’t decide what kits to send you each month – you decide which kits, when and how many, you will print. Replace broken parts too. From the portal, the MyStemKits Printer Management Platform makes your experience intuitive and easy. The platform is mobile ready, and allows you to control multiple 3D printers and users from a single dashboard. Prints are preconfigured with print-specific attributes. Over 150 kits that stream directly to your 3D printer – no design skills or downloading required with this cloud-only accessible subscription. 5 Dremel 3D40 Printers and Unlimited Printing! You choose the kits – Print what, when, and how many you want. Manage multiple printers and users from single dashboard. This two-year, Mid Enterprise Bundle is designed for mid-size enterprises up to 500 students and is ideal for your media center, STEM lab, summer camp, after school program, or group of up to 17 teachers. With digital curriculum attachments available to review before print, this plan is a great curriculum planning tool. Posted on September 6, 2018 Author Best 3D PrinterCategories 3D Printing KitsTags 2year, 3Dprintable, Access, Bundle, Cloud, Enterprise, Five, Kits, Lessons, MidSize, MyStemKits, Over, Plus, Printers, Printing, Stem, Subscription, UnlimitedLeave a comment on MyStemKits 2-year Subscription Plus Five 3D Printers for Mid-Size Enterprise – Cloud access to over 150 3D-printable STEM kits & lessons. Bundle with Unlimited Printing! 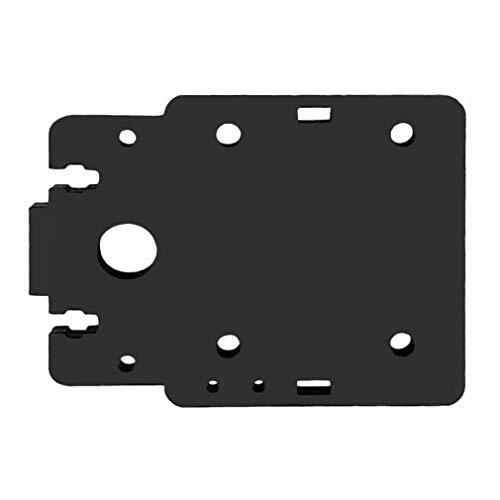 This is the plastic part of the extruder. Quality can be greatly ensured. It is easy to install and remove. Made of plastic material, very durable for use. One of best accessory for 3D printer. Mainly applied for the assembly of the nozzle module. Notes: Due to the difference between different monitors, the picture may not reflect the actual color of the item. We guarantee the style is the same as shown in the pictures.